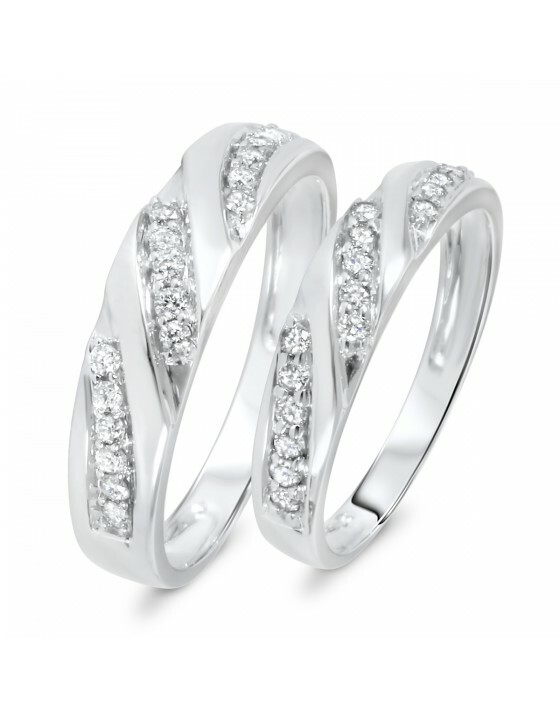 The curved diamond-filled rows of this Ladies Band perfectly match the engagement ring in this set. 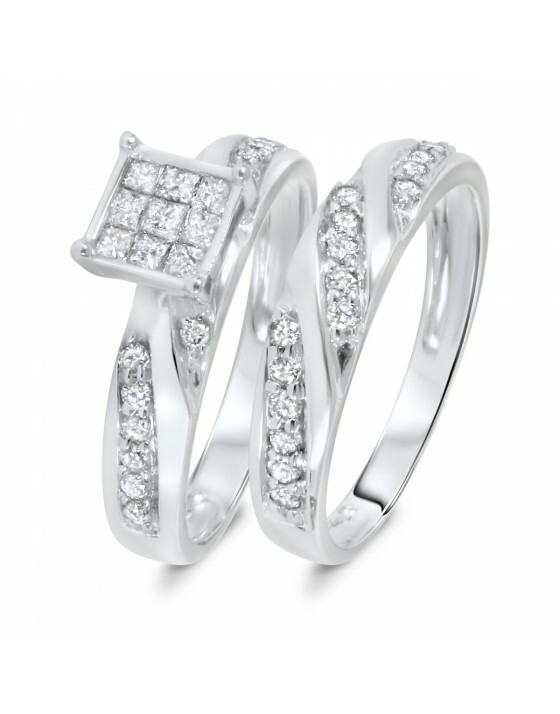 It has the same trio of diagonal rows that will pair up with the rows on the engagement ring, but it also looks just as stunning on its own. 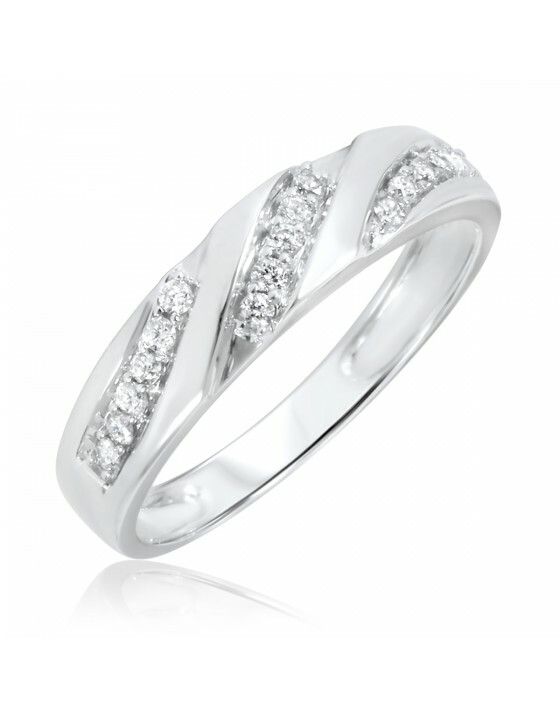 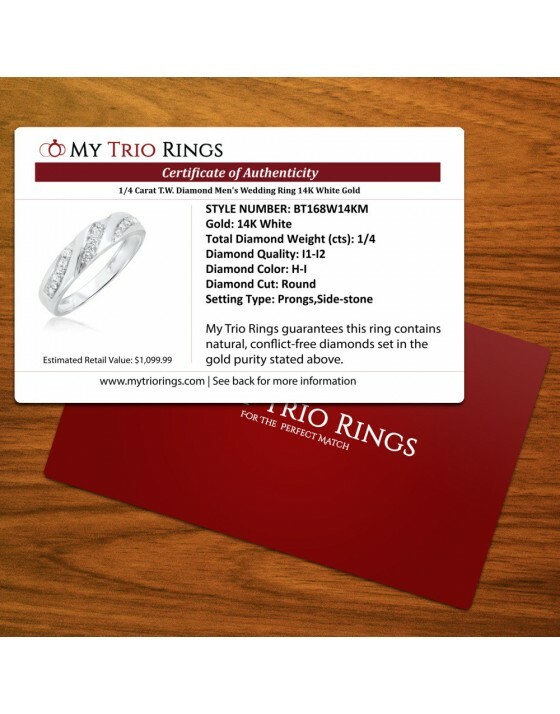 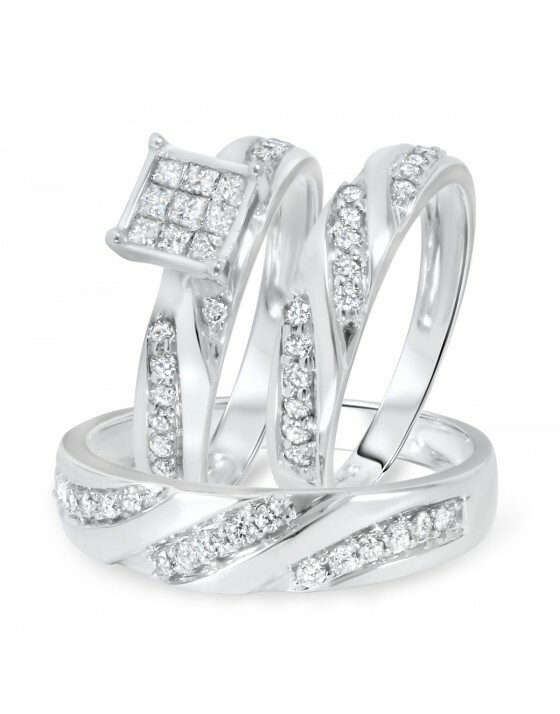 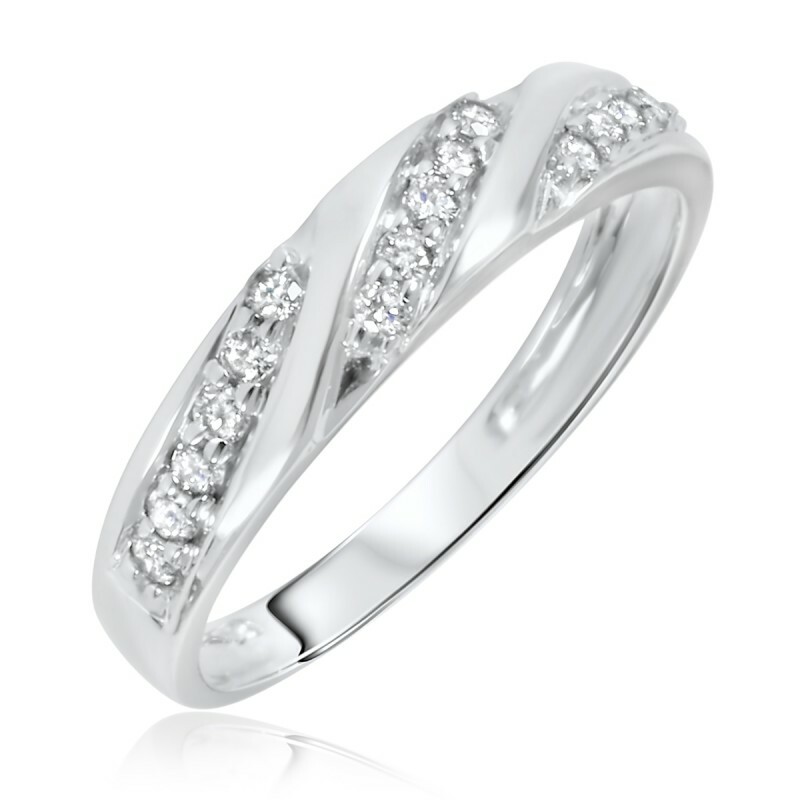 This wedding ring includes 17 round diamonds in invisible settings in real 14K White Gold. 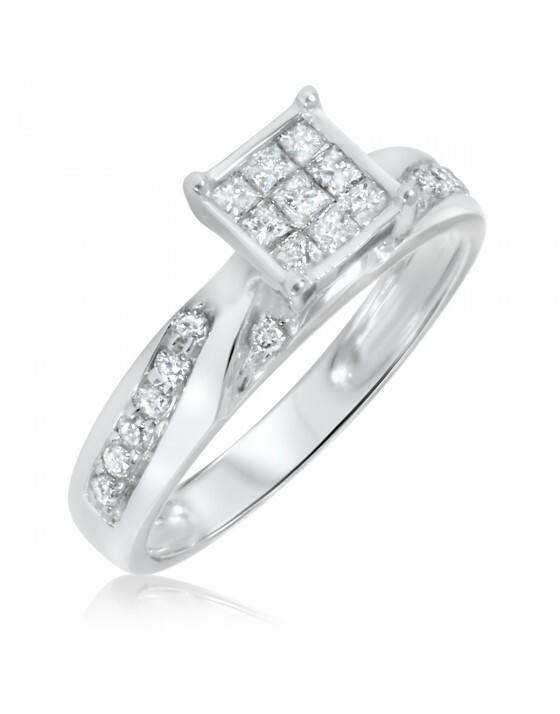 I love the ring but it took a long time to get compared to the other ring I ordered because this one was on back order.